Susan Bour is retired with 20 years of active duty with “The President’s Own”, United States Marine Band. 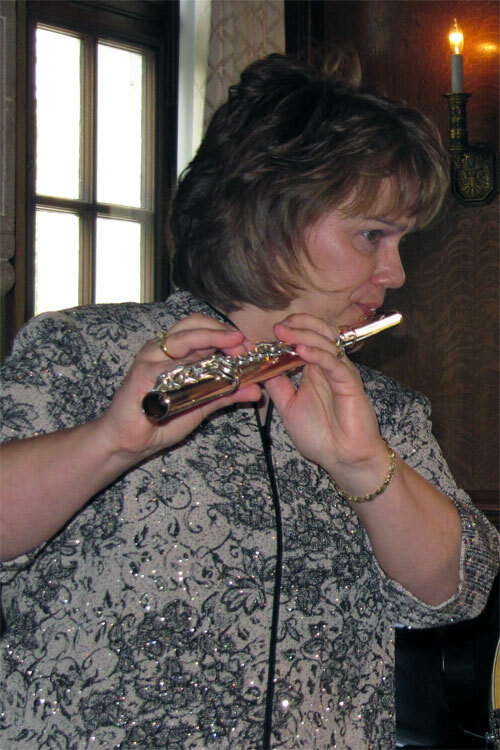 Since retiring she has been active in the metro DC flute community with her private studio; as well as adjudicator at VBODA Solo & Ensemble Festival, Mid-Atlantic Flute Fair, Woodbridge Flute Choir Solo Competition. Being editor of the VBODA flute repertoire is a key aid to keeping abreast of flute repertoire. She teaches Applied Flute at Patrick Henry and has been flute teaching assistant at Freedom High School and Westfield High School. She performs regularly in Windward Passage Duo http://windwardpassageduo.com , flute and guitar duo, with her guitarist husband, Phil Bour. As a musician in the DC area, she has performed at the Kennedy Center and Strathmore Music Center with such artists as Michael W. Smith, Keith and Kristin Getty, Steve Green, and Larnelle Harris.